Huemor Designs has created smoother operating processes that ensure that every one of their clients gets the attention they deserve. From start to finish, the firm works as a partner with business to ensure that the work they do directly contributes to growth. Such a dedication to detail and to client success has helped Huemor Designs rise to the top of their field. Already, they have achieved recognition for being the best providers of a variety of digital marketing services. 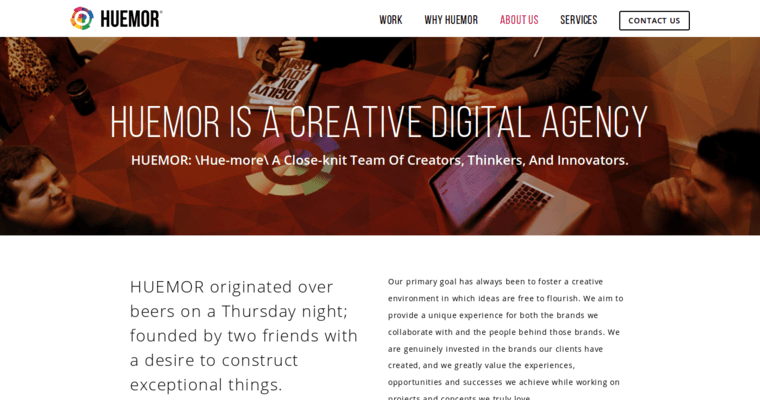 Now, Huemor Designs is honored as the best web design firm. Achieving this status comes as the result of building a superior team of the world's best creative, technical and business talent. As a result, the firm has cutting-edge competencies in all the latest design frameworks and trends. They also have the ability to thoroughly test every one of their websites before they go live.